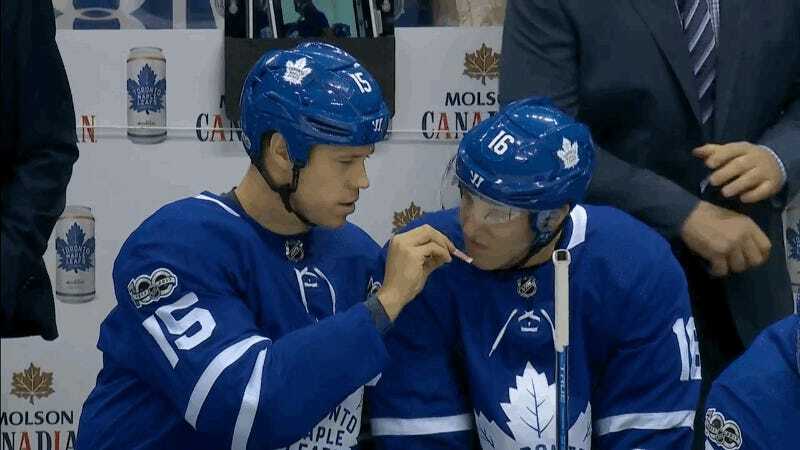 Maple Leafs linemates Matt Martin and Mitch Marner indulged in smelling salts during Wednesday’s 6-3 win over Detroit, because huffing chemicals with a teammate is one of hockey’s most intimate moments. Dumb stat: This was the second straight game in which Martin shared his salts with Marner. The two even have a secret handshake! 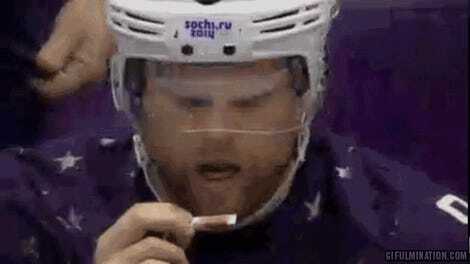 Hopefully Martin doesn’t rub off too much on Marner and turn him into a useless goon.